A major reason why patients suffer from low self-esteem or emotional issues is a poor sense-of-self. There are many reasons for a person to develop a poor sense-of-self, but one common reason being aware of or understanding the things they value in life. 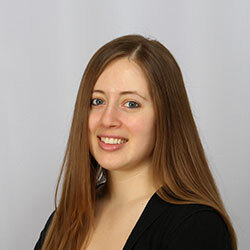 Helping a patient discover what is important to them and their moral code can help a great deal when a patient needs to discover who they are and what is important to them. 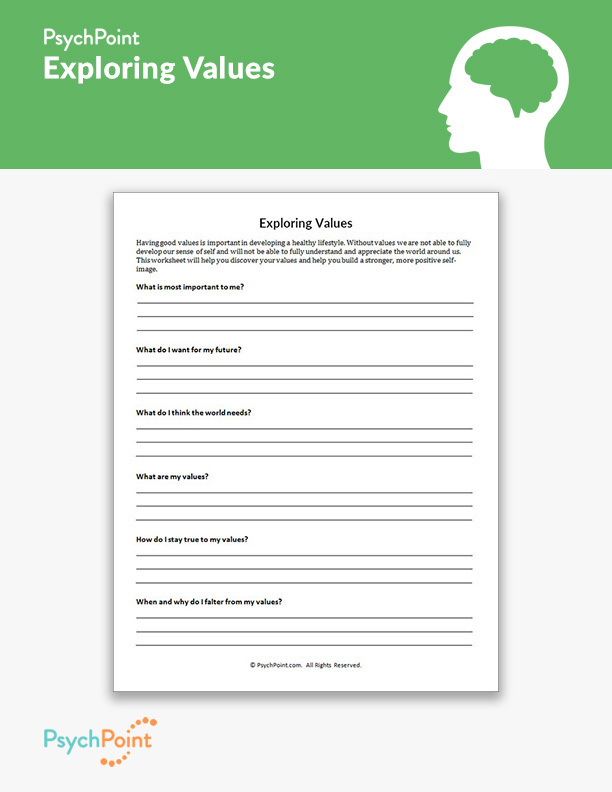 This is an Exploring Values worksheet. 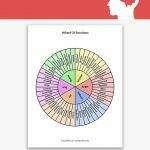 The goal of this worksheet is to have the patient discover their values and how they live through those values. Most people do have a set of core values, but it may not be a conscious awareness. 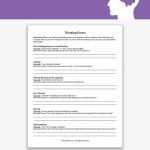 The questions on this worksheet help the patient discover their values that they already live by, along with values they may need to strengthen to develop a strong sense-of-self. It will also help a great deal in goal setting, another exercise that can be helpful with patients, particularly for those with self-esteem issues or poor motivation to be independent and successful. What do I want for my future? What do I think the world needs? How do I stay true to my values? When and why do I falter from my values? 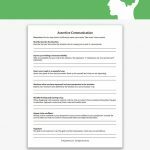 Provide the patient with a copy of the worksheet for reference and motivation. 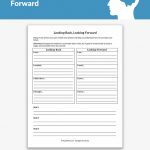 It is recommended to follow up with a goal setting worksheet.